PT Unilever Indonesia Tbk - Unilever Indonesia is one of the largest multinational companies in Indonesia, that is involved in consumer goods (FMCG) industry. Unilever Indonesia running business in integrated consumer goods industry and has 42 product brands in soaps, detergents, cosmetic products, ice cream, savoury, soy sauce, margarine, tea based beverages and fruit juice. Its business include manufacturing, marketing and distribution of FMCG products. PT Unilever Indonesia Tbk is a foreign direct investment company and is a member of of a global consumer goods company Unilever NV and Plc (Unilever Group). Unilever Indonesia is listed on the Indonesia Stock Exchange under reference code UNVR. As today, PT Unilever Indonesia Tbk is 85% owned by Unilever Group through Unilever Indonesia Holding BV and 15% remaining shares in Unilever Indonesia was held by the public. Unilever Indonesia was first established in 1933, and within 82 years has established itself as the leading FMCG in Indonesia. Based in Tangerang Banten, Unilever Indonesia now has 9 production facilities located in the Jababeka Industrial Zone, Cikarang and Rungkut, Surabaya (as of December 2016). Unilever Indonesia also supported by 2 central distribution centers, 10 depot warehouses, 30 area sales offices, 16 third party manufacturers and directly employs nearly 6,185 employee. 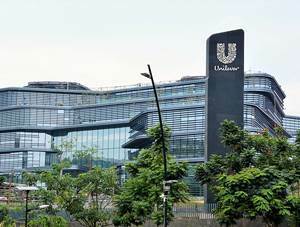 Unilever Indonesia generally recorded a good performance in 2017. According to information found in PT Unilever Indonesia Tbk Annual Report 2017 as cited by JobsCDC.com, Unilever Indonesia managed to record total total net sales of Rp 41.2 trillion in 2017. This number is up 2.9% from Rp 40,054 billion in 2016. Unilever Indonesia booked total net profit of Rp 7 trillion in 2017. This number is an 7.9% increase from Rp 6.4 trillion in 2016. Minimum Bachelor Degree (S1), preferably from Engineering Major. Strong academic results with minimum GPA of 3.00 out of 4.00 scale. Fluent in English skills, both oral and written. Possess certification in supply chain (APICS etc) will be an advantage. The candidates with prior experience in reputable FMCG company will be an advantage. Technical experience in operating SAP, MS Excel (Macro), MS Access. Other related supporting application will be a benefit (statistical application). Technical experience in project related to IT (design, development, implementation). Willing to deal with numbers and quantitative analysis. Job location : Head Office BSD, Cikarang Factory and Rungkut Factory. JobsCDC.com now available on android device. Download now on Google Play here. Please be aware of recruitment fraud. The entire stage of this selection process is free of charge. PT Unilever Indonesia Tbk - Fresh Graduate Assistant Mgr Supply Chain Unilever December 2018 will never ask for fees or upfront payments for any purposes during the recruitment process such as transportation and accommodation.